The Scottish Avalanche Information Service (SAIS) publishes daily reports of observed and forecast, avalanche, snow, and mountain conditions at the most popular areas of Scotland during the winter season. Predicting avalanches is a challenging process. Constantly changing weather factors, from temperature and snowfall to wind speed and direction, can affect the strength and stability of the snowpack. So it’s vital to keep a close watch on conditions throughout any mountain excursions. The SAIS website has a useful guide outlining the decision-making process and the fundamental considerations of assessing avalanche hazards. 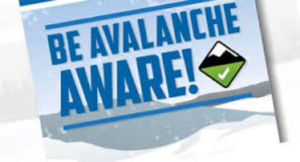 Check out the useful information in our Avalanche Safety and Awareness section too. But most important of all, stay alert, and don’t take unnecessary risks.